Incorrect positioning of the teeth can create muscle tension, tooth crowding and friction. The result is damage to the teeth, the surrounding musculature, and the joint of the jaw. As an adult, you can still optimize the alignment of your teeth with permanent braces or a removable retainer. For larger problems, braces are preferred. 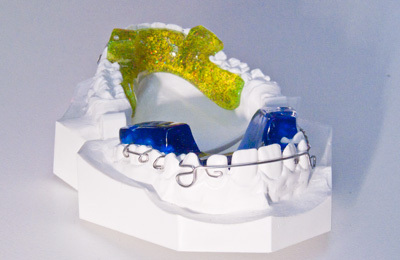 Ceramic or sapphire braces are smooth, and easy to clean. They are round and noted for the high level of comfort they provide. As they are virtually transparent, they reflect your natural tooth color. Lingual braces correct your teeth alignment by fitting behind the teeth to appear almost invisible.